Hi everyone, welcome to another entry in this blog. Having a nice dental hygiene is key for a beautiful white smile. It is really simple to achieve as long as you have the right tools and attitude at hand. Keep in mind that a good set of natural dentures reveals more than attractiveness, they speak healthiness too. So grab your toothbrush right quick and keep reading about the consequences of bad dental hygiene. A hint, it causes tooth decay. That is right, not taking good care of your teeth can cause them to decay at an alarming rate. The can disappear really quickly if you do not take any action. So keep in mind to create a good dental hygiene routine to avoid tooth decay at any cost. Luckily for you we are going to share some tips with you today so you can smile wide and proud. Your smile will cause envy among your family and friends. 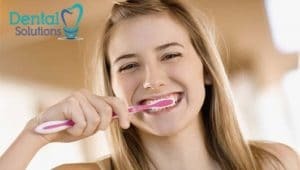 The first thing you have to take into account to avoid tooth decay is to clean your teeth, it is not sufficient with just brushing, you have to put more effort than that. Brush your teeth at least 2 times a day, do not forget to use the correct technique. If you are wondering which one is that, just remember to use slow gentle strokes. I suggest to brush after every meal on top of that for better results. The reasoning behind that is that food debris decomposes fast in your mouth. And that also affect your teeth leading to tooth decay. That is why is so important to use dental floss after brushing. It will clean between your teeth where the food gets stuck, leaving them clear of pesky pieces. Finish your dental hygiene routine with mouthwash and you will be golden. Tooth decay won’t oppose any threat to your precious smile. We are what we eat and it affects all parts of our body. Teeth are not exception due to the fact that they make first contact with food. Meaning that sugar, artificial colorant and more affects our teeth directly. That is why is so important to keep a good dental hygiene no matter what. There are many ingredients that help tooth decay to advance. The most common are sugar and alcohol, they are present in almost everything we consume. So cut back sweets and alcoholic drinks if you want your teeth to survive. Sodas for example can damage your teeth pretty badly if you abuse them. Sum a bad dental hygiene and you can say good bye to your teeth. Another bad vice for your teeth health is smoking. That thing can rot your teeth like nobody’s business. Finally to avoid tooth decay, visit your dentist every 6 months for regular checkup and cleaning. This is the secret to avoid tooth decay and have the best smile ever. And the secret to save money in dental is to come to our clinic in Los Algodones Dental Solutions. We offer the best prices and services in town, we follow US standards when it comes to dental treatment. Do not waste more time and contact us to make an appointment right now!